The Port of London Authority (PLA) has appointed Bob Baker as chief harbour master. Bob Baker will join the PLA from Forth Ports, where he has been chief harbour master since 2001. He will succeed David Phillips, who is retiring from the PLA in April, after nine years’ service. Bob Baker’s seagoing career lasted from 1975 to 1991, before he came ashore to work at the Port of Tilbury, latterly as general manager, conventional operations and harbour master. He has been chief harbour master at Forth Ports and a director of Forth Estuary Towage since 2001. He holds an MBA from Henley Management College. 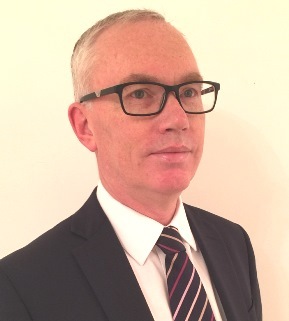 PLA chief executive, Robin Mortimer, said: "David Phillips will retire after a unique period at the PLA and leaves with our very best wishes. He is the only chief harbour master to call the start of a 1,000 vessel flotilla down the Thames, overseeing the Queen’s Diamond Jubilee River Pageant in 2012. At the same time, his tenure also saw the arrival of ultra large container ships on the river too. Bob Baker will join the PLA on 1 May; he will also have a seat on the PLA Board. The Thames is home to the UK’s second biggest port, keeping London and the south east supplied with food, fuel and life’s essentials.